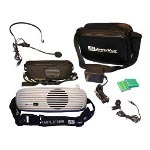 Rechargeable waistband amplifier with acoustic sports pack and carrying case. 44 in. Adjustable Belt with 12 in. extension will fit any size. 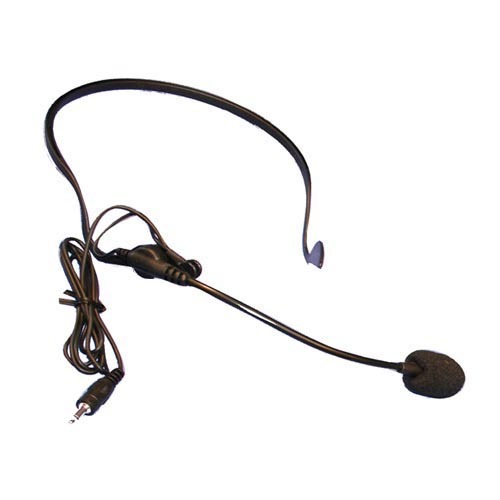 Leaves your hands free and saves your voice from fatigue. Ski instructors use the BeltBlaster to guide the handicapped and teach the blind how to ski. 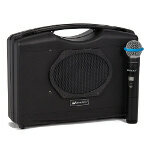 BeltBlaster Pro Portable, battery-powered mini PA system you wear like a belt, leaves you hands-free and comfortable. Keep your audience's attention and be heard clearly as you move freely around the room or to multiple locations—inside and outside and all over your venue. 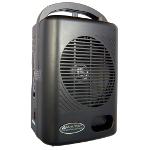 5 watt portable PA delivers clear sound to audiences of up to 75 people. Quickly adjust to changing conditions with fingertip on/off volume control. 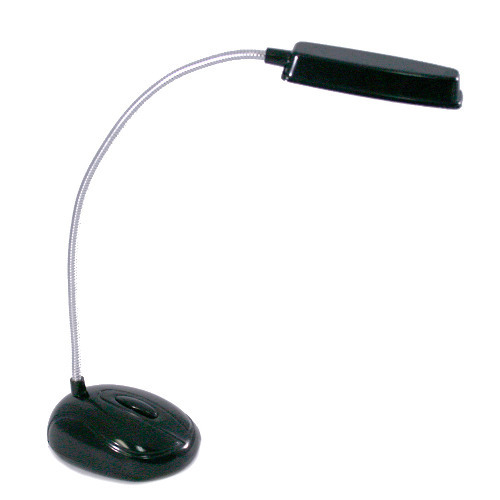 Rechargeable batteries provide up to 6 hours run time on a single charge. S207 will run on standard AA batteries if needed. 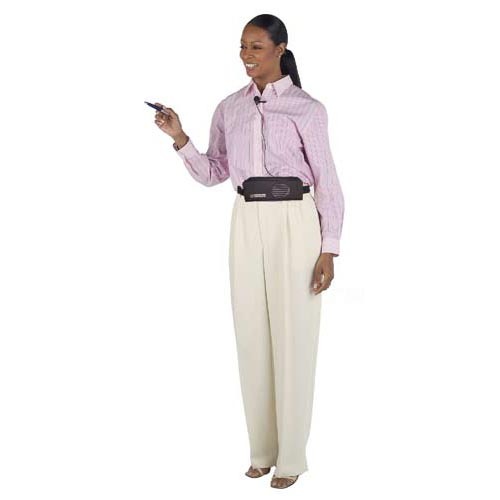 Save your voice with our belt worn personal sound system. Weather resistant cover keeps the unit dry and rechargeable batteries save you money. 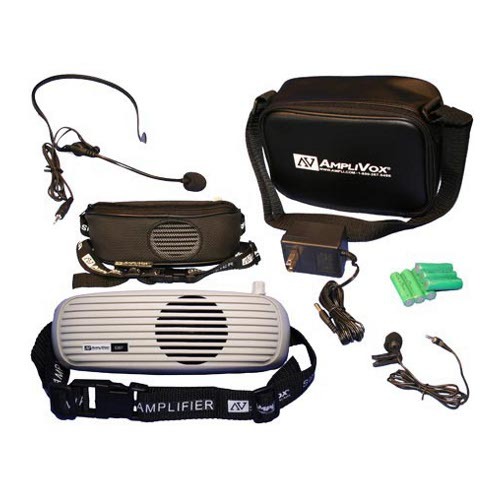 Used as a tour guide system by customers like the Lincoln Park Zoo in Chicago, this battery powered portable sound system is the best in lightweight mini sound systems for tour guides, speakers and presenters. This personal sound system is perfect for anyone who needs a moderate improvement in their sound coverage and voice clarity. 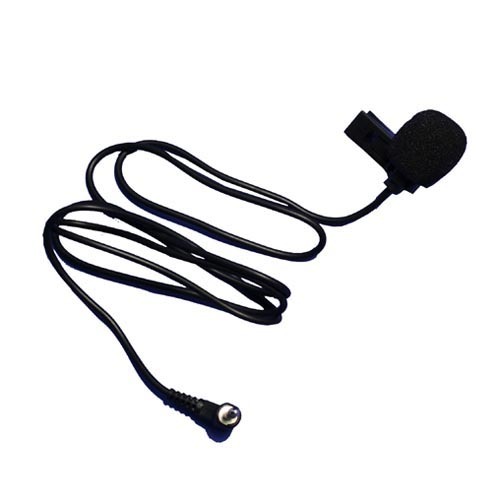 Customers who speak to small crowds agree the BeltBlaster Waistband Amplifier saves your voice. My husband bought me a "Beltblaster Personal PA" to use in my agility dog training business. I LOVE it! 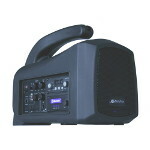 It has enough power to reach to the back corners of our arena while I am instructing and the audio is incredibly clear! I was very disappointed when it suddenly stopped working for no apparent reason. 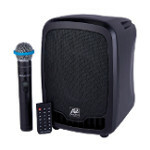 We contacted "customer service" who responded immediately and have sent us a "brand new system".....free of charge!!!! We are super impressed with the product and how well the company stands behind it. We will be recommending it to all our friends. I have only recently begun to use my AmpliVox at a care facility and also outside yesterday in the plaza area of our church where we had tables set up for folk to sign up for various activities...superb! I had a few thumbs up yesterday as I was helpful in announcing where each activity was located. I like how your PA system is not tinny in sound production. Great Product! I am an elementary music teacher and teach at two schools. The Amplivox system has helped my voice tremendously! I can speak and sing normally and raise the volume on the AmpliVox when needed. I come home each night and recharge my batteries, then I'm ready the next day for school. Using this system has also helped me have better control with classroom management. Thanks for a great product! I love this unit! My students are so much more attentive when I am using the Belt Blaster Pro. The Mission of Dream Catcher of Los Angeles Therapeutic Riding Centers is to improve the lives of children, adults, and veterans with cognitive, physical, and emotional disabilities through the benefits of therapeutic horseback riding and other equine-assisted activities, while serving the therapeutic riding profession through training and education. 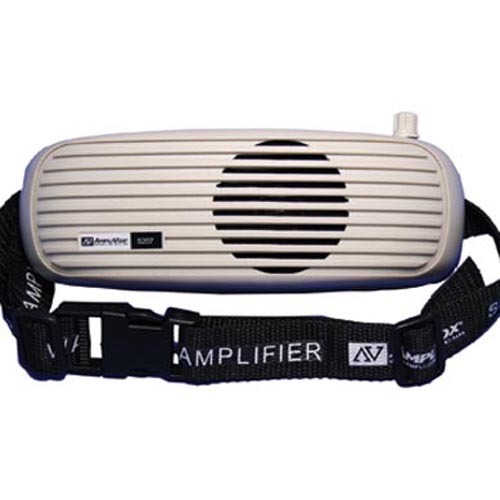 We use our AMPLIVOX BeltBlaster in our lessons and it helps us to communicate with our students. We love the product!!! I love the unit being in it's own "pack" that can be strapped, making it very convenient. We had previously had one with a clip and it broke and then it could not be worn. 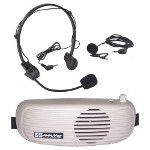 Does a very nice job of Amplifying voice at my smaller Auctions, Saves voice allows me to sell for hours. Small, light . Great for smaller crowds, inside and outside. In fact in a large warehouse with a crowd of less then 100, does a better job of reaching the bidders, then the larger system which seemed to echo and bounce off warehouse walls. 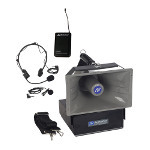 This amplifier works across large open areas, even under windy conditions. Very impressive!